For those who want to find the truly feeling of adventure when traveling to Tam Dao, motorbike is the ideal means of transport for the trip. To ensure a successful trip, thorough preparation is essential. Traveling is a hobby and new trend. It is more and more popular among the Vietnamese young people community. There are different ways and means for you to enjoy a trip as expected. 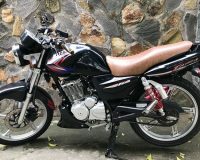 In which, backpacking to the tourist destinations by motorbike is always the pleasure and passion of those who love to travel by motorcycle to Tam Dao as an example. 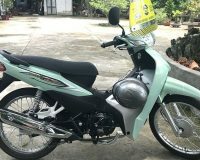 Are there any differences between traveling by motorbike to Tam Dao and other means of transport? The challenge from the roads: The feeling of a person driving by motorcycle to glide through each winding mountain pass, the feeling of speeding up the car to drive through the mountain pass, the feeling of the strong wind blowing in the face, inserting each slit of the clothing. Such these feelings are truly wonderful as it helps the backpacker return closest to nature. Mobility: By motorbike, you can go deep into the areas that plane cannot do, and sometimes cars must stop. You can stop the motorbike at anywhere on the road while backpacking to just stand to admire the beautiful scene, take pictures, or rest. The cooperation with teammate and personal independence: When traveling by motorcycle, not many people can go alone. Normally, you have to have one team travel together to avoid boredom on the road, lonely feelings or to have someone help you when needed. 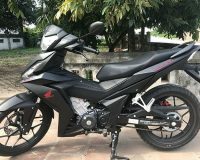 Achievements: After a backpacking trip by motorcycle, you will realize that you have improved a lot of skills, experience of driving motorbike, vehicle management, and feelings on road and so on. However, the first benefit is that you will realize how much confident and mature you yourself become. 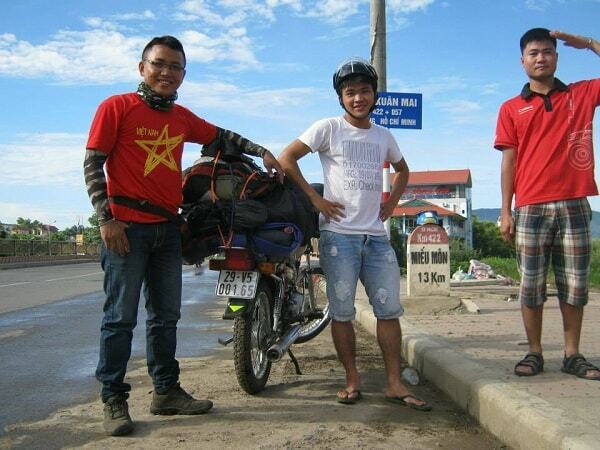 What do you need to prepare for the backpacking trip by motorbike to Tam Dao? The first thing is you have to check and maintain the whole motorbike. The tires with punctured three holes should be replaced. Bring rope rolls (to pull if bogged down). On the way, you ought to avoid driving back and so close with the trucks because on hilly roads, the large trucks carrying heavy items will move with the slow speed. Do not drive so closely with the truck tail. You should buy the full-face covered helmets with full glass. While driving, the driver will get less wind dust, less tired and much safer. You should wear shoes and coarse cloth when traveling because they will reduce the risk of scratching if you fall down from the motorbike. Do not wear jeans, heavy and difficult ones to move as you will find very hard to drive on the roads in the rain days, and these kinds of clothes will be dry after a long time. You should always carry a pair of slippers to take a shower or wear when it rains. In summer, you should wear pullover coat outside because it will help balance the body’s temperature. You should have raincoat as it can rain at any time along the way, especially the mountainous areas often have huge rain without shelter. You need to put it somewhere easy to take. You should buy the 2-piece raincoat (pants and shirt) so that your pants will not get wet. The rain boots are the essential item. You can buy thin nylon boots in markets or supermarkets. There should be a piece of raincoat to cover the items in the back of the motorbike. You should wear gloves. When buying, remember to choose the thick but light ones. Wearing gloves is not only to avoid the sun but also support hand muscle much more, so the driver will feel less tired. You need to tighten the backpacks. You should not wear a backpack when traveling in long distances, except for camera bags and personal items. Each backpack should not exceed 5kg for carrying many items. Prepare the emergency food such as cheese, energy-rich candy (Snack Bar is easy to carry and will not melt), C effervescent, ginger candy, drinks purchased at each stop.